In my last article, we discussed what the key items are for achieving bodybuilding success. In this article I want to focus on the weight training aspect of the formula for success, and show you how through the cycling of training parameters like sets, repetitions and rest in between one can maximize bodybuilding gains and avoid dreaded training plateaus (periods of no progress). 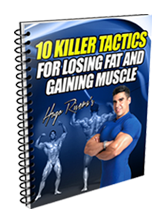 I will also show you a series of bodybuilding training routines that when performed in the sequence in which I present them are guaranteed to bring you the results that you are looking for. Our workout parameters are going to be determined by the phase we are in. There are going to be three phases that we will be repeating over and over again. Changing from phase to phase and altering the workout parameters (sets, repetition ranges, and rest in between sets) in each phase is what is referred to as periodization, which is a fancy term that refers to the logical changes of workout parameters in a routine in a way that the body can not only be stimulated but adapt as well to the stress imposed. In other words, you push the body to grow bigger and stronger but yet without reaching overtraining. The first week is an Active Recovery Phase. This phase will only be a 1 week long phase in which we will only train with weights twice a week on a full body routine. First, according to leading strength expert Tudor Bompa, Ph.D., “you are trying to adapt the anatomy of the body to the upcoming training so that you can create, or produce an injury free environment”. Essentially, your tendons and ligaments should be strong enough to support the stressful periods that will follow. Second, this phase is a great time to address any strength imbalance that your body might have. This is the reason why mostly dumbbell work will be used during this phase. Finally, this phase will act as a great time in which the body will re-charge its energy stores and allow for complete physical and mental recuperation. During the loading phase the body is stressed with an increasing high volume of work that if kept for too long will eventually result in overtraining and injury. 1. The growth hormone output goes through the roof due to the short rest interval between sets and the high volume. 2. 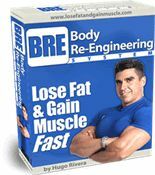 Hypertrophy (muscle growth) occurs by the body increasing the levels of creatine, water and carbohydrates inside the muscle cell. This phenomenon is called muscle voluminization. 3. The body’s recuperation capabilities are upgraded in response to the stress imposed by the increasing volume of work coupled with short rest intervals. During the Growth Phase the body is not stressed by volume. This time the stimuli for growth is heavy weights. If this phase would be kept for too long eventually the body would cease to stop making strength gains and you would plateau. This is the reason why we always need to go back to a Loading Phase. 1. The testosterone levels go through the roof in response to the longer rest in between sets and the heavier weights. 2. Hypertrophy (muscle growth) occurs by the body increasing the actual diameter of the myofiber (the muscle fiber size) through increased protein synthesis. 3. Since your body’s recuperation abilities were built up to the maximum by the previous phase and the volume has gone down dramatically, these extra recuperation capabilities are used to increase strength and build more muscle mass. The reason the body does this is in order to be prepared for another stressful period like the one it just went through. This adaptation mechanism is the one that ensures the survival of the species. Taking all of the information presented above, below are the first four weeks of your periodized program. Notice how the first week is an Active Recovery Phase week and how the volume after week 1 in increased dramatically. (Rest 1 minute after the 1st set of exercise 1 and then do the first set of exercise 2. Then rest a minute and go back to exercise 1. Continue this pattern until both exercises are done for the prescribed amount of sets). Calf Raise 3 sets x 10 reps (2 minute rest). Notes: If unable to train 6 days a week, then perform Day 1 on Monday, Day 2 on Wednesday and Day 3 on Friday. 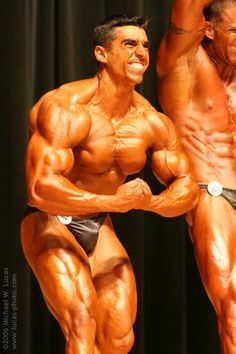 Regarding the issue of reaching muscle failure or not in all sets, the best advice that I can give you is to perform each set to the point where it would be impossible for you to perform an additional repetition on your own with good form. This philosophy has always kept me injury free and allowed me to train by myself for years without any accidents. Critical to a successful mass building campaign is nutrition. While I could write a whole article (or even a book) solely dedicated to this subject, I’ll keep it simple. Eat 5-7 meals a day (It could be 3 meals and two protein shakes, or 4 meals and 3 protein shakes depending on your nutrient requirements). In order to grow, eat a total of 1 gram of protein (tuna, salmon, turkey, lean red meats, chicken, whey protein, or egg protein) per pound of bodyweight divided equally over 5-7 meals spaced out 2-3 hours apart. 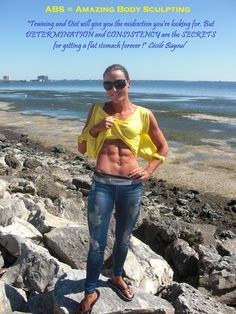 If you have a high metabolism eat 2 grams of carbs per pound of bodyweight while if you have a slow metabolism just do 1 gram per pound of bodyweight. Have complex carbs throughout the day such as potatoes, brown rice, oatmeal, veggies and a combination of complex and simple carbs (fruits) for your post workout meal. As far as fats, keep them as low as possible by choosing low fat protein sources. However, supplement your diet with ten grams of fish oils (4 caps with meal #1, 3 with meal #3 and 3 with meal #5) and also 1 Tablespoon of Flaxseed Oil in two of your protein shakes. During the mass building phase it is still important to continue to do cardio. Twenty to thirty minutes right after the workout (or first thing in the morning on an empty stomach if you wish to train twice a day) four times a week will suffice. 1. Improves cardiovascular endurance; critical when performing supersets. 2. Helps remove waste created by the weight training session and creates new capillaries that are used to provide more nutrients to the muscle, something that helps rebuild the muscles quicker as well as recover faster in between sets and workouts. 3. Finally, this type of exercise prompts the body to produce fat burning enzymes; something that helps us keep the fat off while we gain muscle mass. Well, there you have it. Follow this routine for this month and by the time that you are done, I guarantee that you will have enhanced size and definition. On Part 2 of this article, I will show you how to put a great Growth Phase together that will make your strength (along with your size) skyrocket by taking advantage of your enhanced recuperation capabilities and nervous system energy. Take care and train hard! I am just about to give this routine a try as i have not had any gains for months following my current routine, i noticed with the shoulder workouts you mainly use bent over laterals and only use lateral raises for one week in the whole program. Do the bent overs stimulate the side shoulder muscles as well or is it the presses that give them enough wrk as well. I realy appreciate your common sense approach to your training and makes it easy to follow. 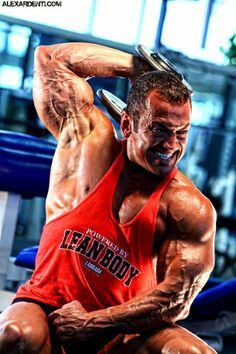 I am about to try this routine, i have noticed with the shoulder work outs you use bent over laterals all the way through and only side laterals for one of the weeks, do the bent overs also stimulate the side part of the shoulder for growth. There isnt a a specified rest period. Is this a mis print or does a set rest time not apply for these excercises? You have a great program here . I have a question , on phase 2 and 3 are the sets both pyramid ?